Beth Frede helps high-achieving, emphatic women use intuition + creativity to find balance, direction, and themselves again. 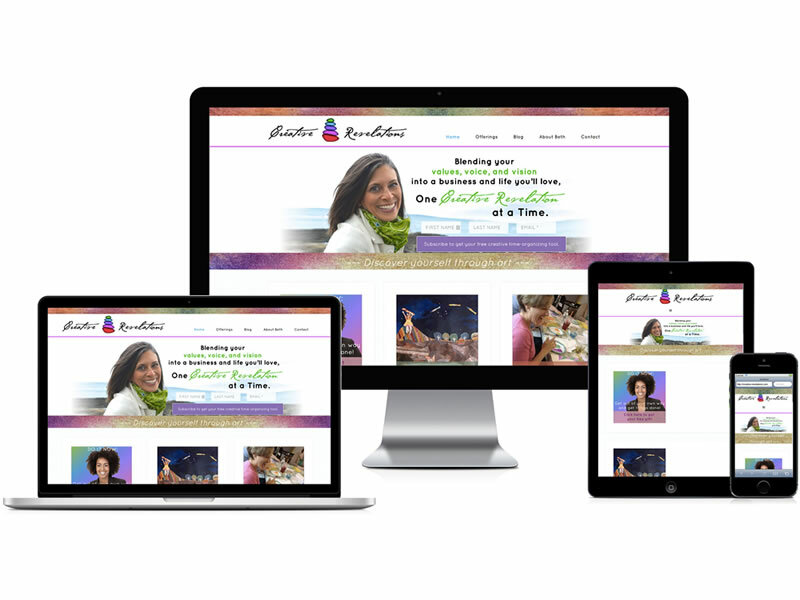 She came to us looking for help with redesigning her site to make it more user-friendly, as well as, a more personal representation of herself and her business. 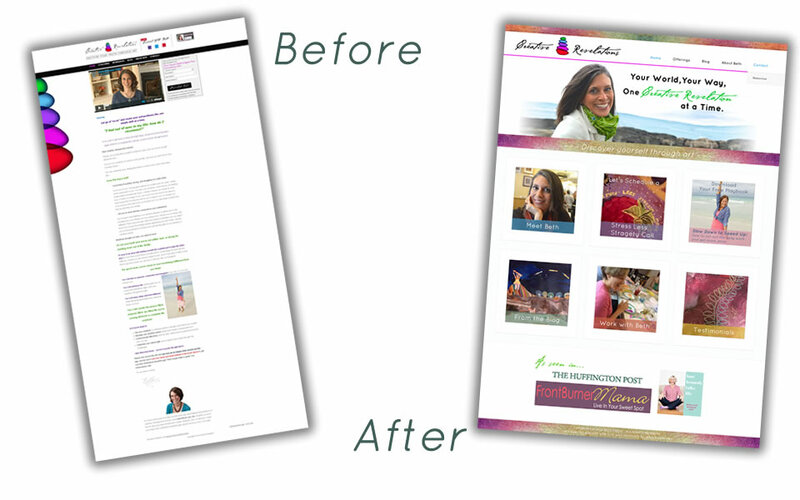 We created an easy to navigate homepage with links to her most popular pages/programs. 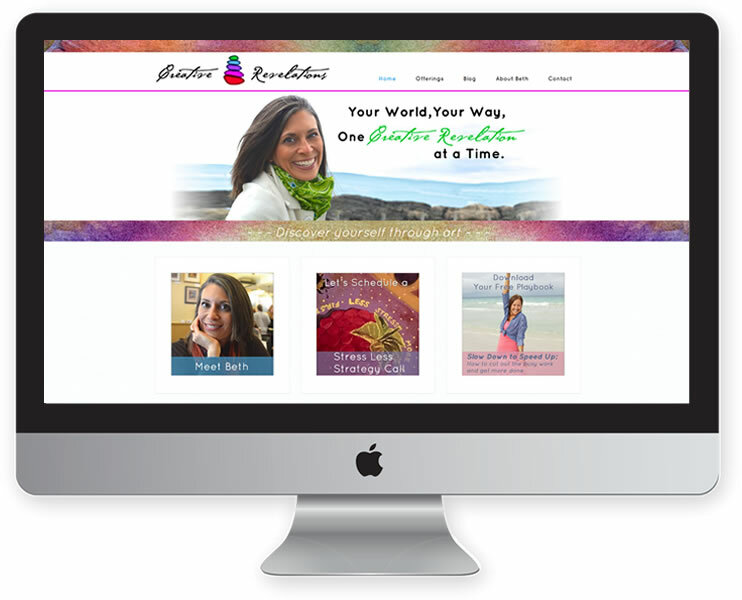 The majority of the artwork featured on the site are Beth’s own creations.